Mackay's 479-berth Marina, twice winner of Australia’s Marina Industries Association (MIA) Marina of the Year, is about to be offered for sale for the first time, along with extensive associated commercial real estate. The major Great Barrier Reef leisure, maritime and tourism asset, located on Mulherin Drive and six kilometres from Mackay CBD, sits at the southern gateway to the Whitsunday Passage and islands. It is being sold by Brisbane-based developer, Port Binnli Group, which established the facility in stages during the early 2000s as part of a major mixed-use waterfront precinct that also includes a range of residential apartments and the 4.5-star Clarion Hotel. 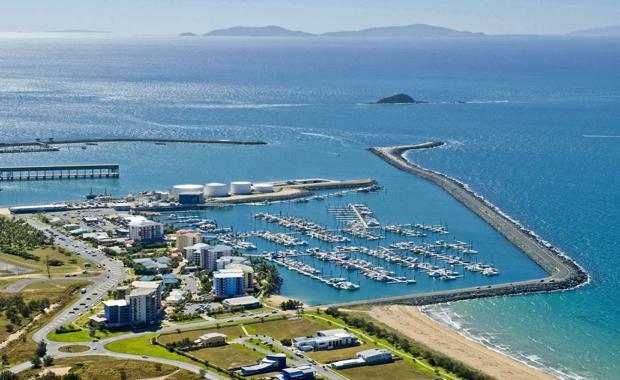 The Mackay Marina and adjacent properties cover almost 25 hectares, including the 20.8-hectare marina basin on a 99-year seabed lease (expiry 2098), and freehold land and buildings covering 4.1 hectares. “This is a large-scale, full service facility of very high quality and, significantly in this prime location, it is an official Port of Entry with onsite customs and quarantine,” Resort Brokers national Sales Manager Trudy Crooks said. 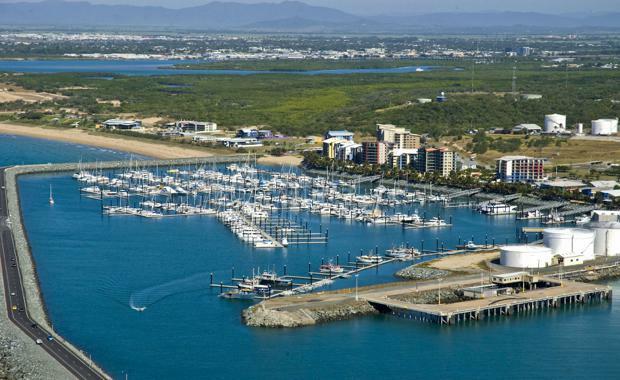 The Mackay Marina also provides the only berthing facilities in the Mackay area, as well as the only vessel repair, maintenance and workshop facilities. It can accommodate vessels up to 50 metres and includes six super-yacht berths, specially designed multihull, commercial fishing and maintenance berths, a 13-bowser fuel dock, and approval to construct a further 49 berths. With a 140-metre frontage to the marina esplanade, the freehold retail, dining and services village consists of 10 buildings housing 25 tenancies with a net lettable area of 7,040 square metres. Also included in the parcel are freehold car parking areas covering 1.4 hectares, with 241 parking bays, including 136 secure spaces and marina amenities blocks. “This is a substantial asset with many strings to its bow, and will be considered a valuable acquisition opportunity, particularly given the massive barriers to entry in this market and world-famous location,” Ms Crooks said. The Expressions of Interest period for the Mackay Marina, village and shipyard will close on Friday, November 11.